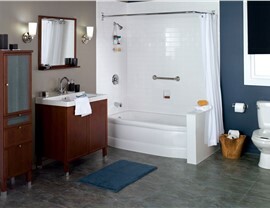 Algonquin: Have you long dreamed of completing a bathroom remodel, but you just weren’t sure where to start? Then, you’ve come to the right place! Barrington: Many homeowners are intimidated by the idea of completing a bathroom remodel. 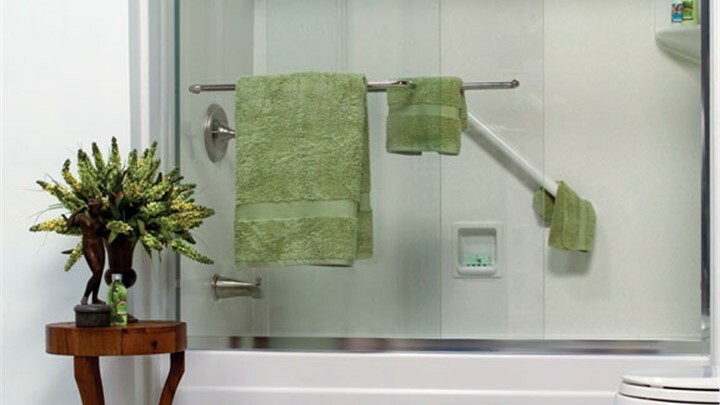 Berwyn: Starting with a free consultation, our certified bathroom remodelers will help you build the perfect new bathing space for you, including your choice of color, wall surrounds, hardware, and fixtures. Chicago Heights: Dreaming of a bathroom remodel that will elevate your Chicago Heights home? With Tiger Bath Solutions, you can afford the bathroom renovations you’ve always wanted! Cicero: Our Cicero bathroom remodeling team is focused on providing you with outstanding customer service. That means offering fast, painless installations. Evanston: If you have been putting off a bathroom remodel because you worry about how much it will cost or how long it will take, you need to hire the Evanston contractors at Tiger Bath. Glenview: From aesthetic transformations to safer and more accommodating bathing environments, we offer the right type of Glenview bathroom remodel for any need. Homer Glen: Tiger Bath Solutions offers affordable and efficient services for homeowners seeking a Homer Glen bathroom remodeling solution. Joliet: Our Joliet bathroom remodeling crew is able to offer fast, painless updates to your space because we customize a new tub or shower just for your bathroom. Lombard: Your Lombard bathroom renovation doesn’t have to be a difficult and convoluted process – especially if you’re working with the highly trained team at Tiger Bath Solutions. McHenry: Whether you bought an older home or want to change up the style of your current house, a bathroom remodel can make a huge difference. Naperville: Tiger Bath Solutions can provide you with the perfect solution to long drawn out bathroom remodels. Oak Lawn: Tiger Bath Solutions is proud to employ hardworking, innovative and highly trained Oak Lawn bathrooms remodelers. Oak Park: For an easy, efficient, economical renovation that you will be thrilled with contact Tiger Bath Solutions. Oswego: When ordinary bathrooms just aren’t good enough for your Oswego home, turn to the custom bath remodeling experts at Tiger Bath Solutions! Palatine: We offer convenient Palatine bathroom remodeling options that can be completed in as little as a day, but we also install tubs and showers that are built to last. Rockford: Our Rockford bathroom remodeling crew does things differently. Our bathroom services are specially designed to be quick and easy. Skokie: We’re a team of locally based, professionally certified bathroom remodelers, and we offer exceptionally high-quality tubs, showers, and conversions. Waukegan: Our one day bathroom remodeling services make it easy, affordable, and stress-free to completely transform the look and feel of your space. Wheaton: The remodelers at Tiger Bath Solutions have helped thousands of customers throughout the Chicagoland area create a more comfortable space for themselves and their families. 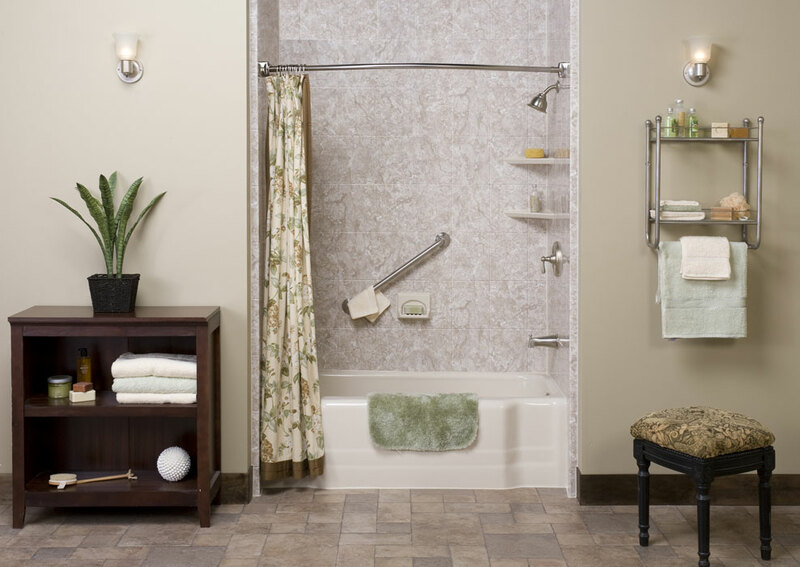 Wheeling: Create a stylish, functional space that’s worth using day and night with a Wheeling bathroom remodel from Tiger Bath. Wilmette: In as little as a single day, our Wilmette bathroom remodeling team can make your master, guest, or hallway bath just as convenient and appreciated as the city you call home. 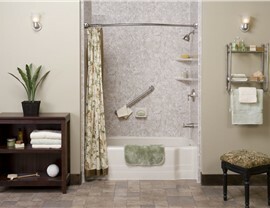 Tiger Bath Solutions performs one day Chicagoland bathroom remodeling that can’t be beat. Call us or fill out our online form to schedule your in-home consultation today! Your Chicago suburbs bathroom remodel will be handled with the greatest care and efficiency.